Albert Yabor is an accomplished licensed Broker in Florida with over 25 years of real estate experience. A native to Miami, Florida, Albert has always been drawn to the growth and the potential Miami provides. Albert services Greater Miami and surrounding areas. Albert has achieved being a multi-million dollar real estate producer for over 14 years of his real estate career. 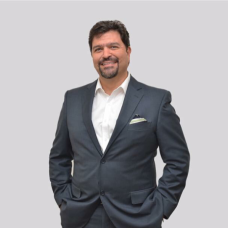 With an enormous passion for real estate architecture and design, Albert has extensive knowledge in custom homes, rehab, investment property and Luxury Real estate. Specialties: Luxury Homes Sales, Executive Home Sales, Buyer Representation, Real Estate Investment strategies, Expired Listings, Short Sales, Distressed Properties, Custom Homes, Material Design and selection.